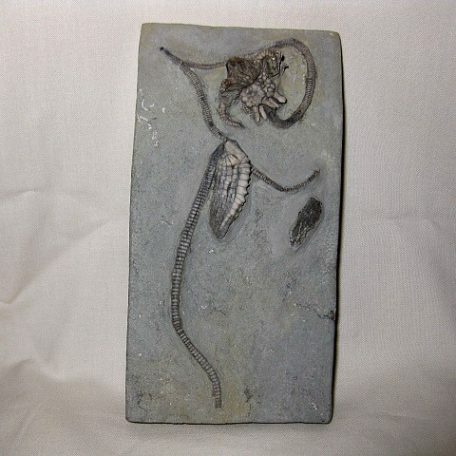 The overall size of this plate measures approx. 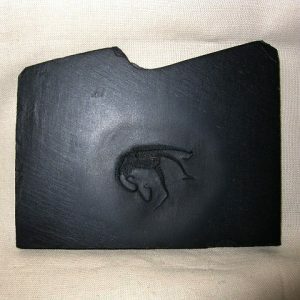 3 1/2″ wide x 6 1/2″ long. 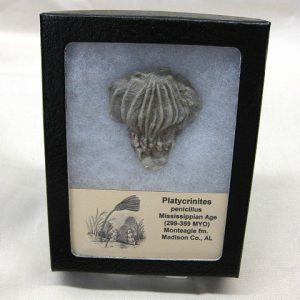 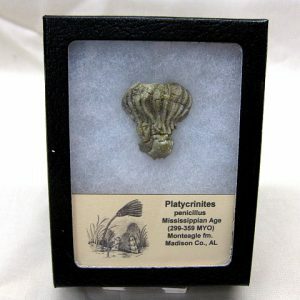 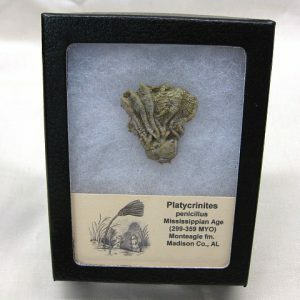 Mississippian Age crinoids from Crawfordsville, Indiana, are known worldwide for their completeness, abundance, comparatively large size, and extraordinary aesthetic appeal. 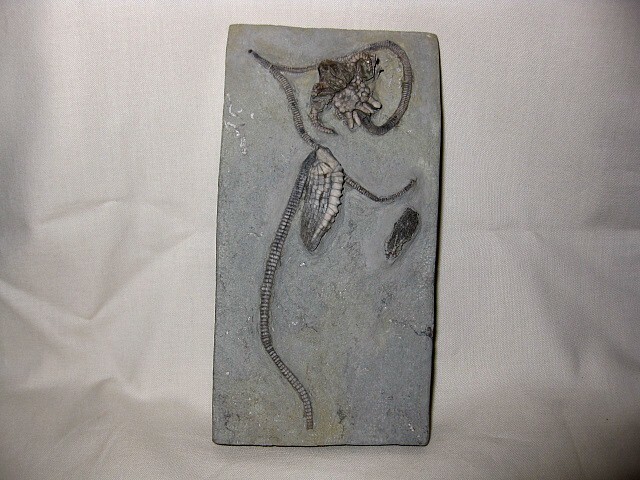 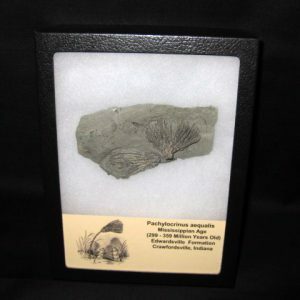 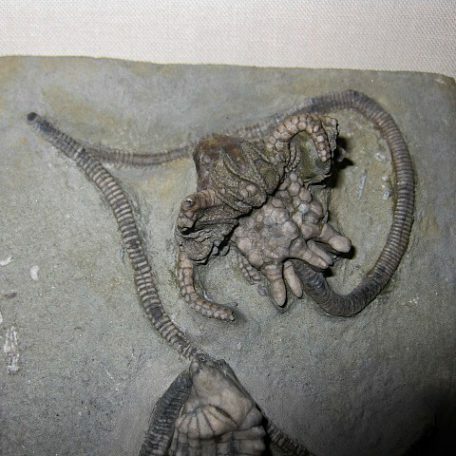 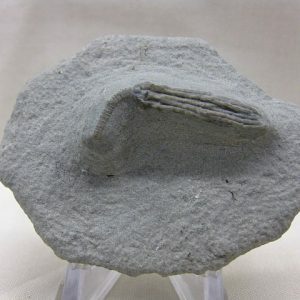 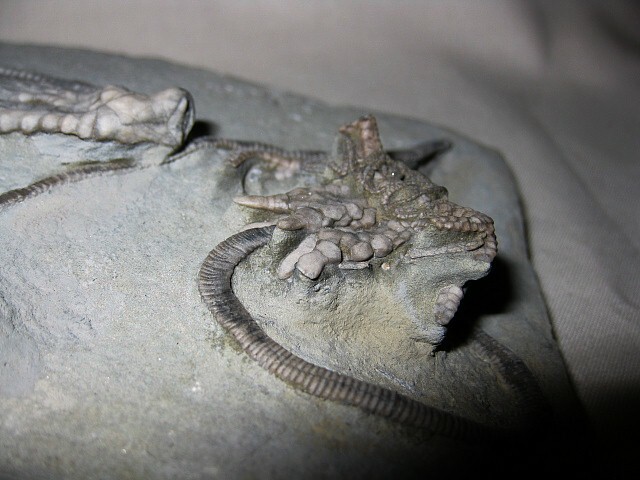 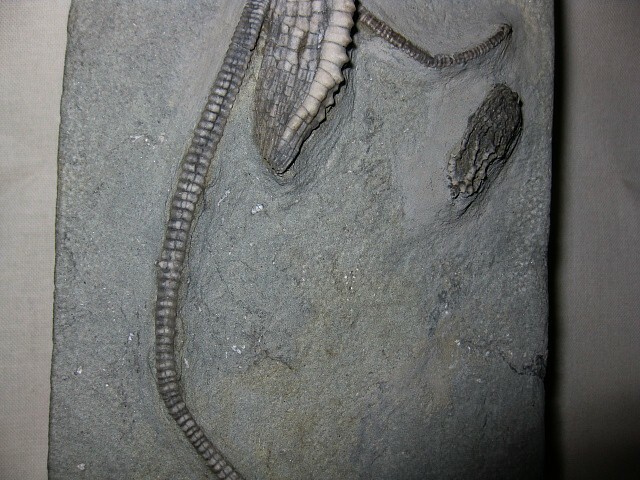 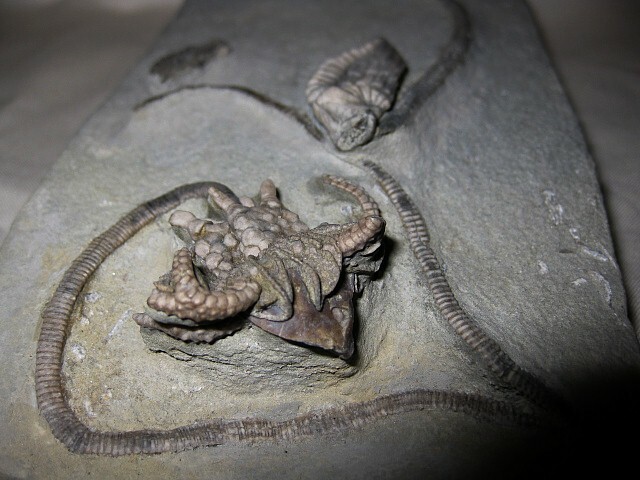 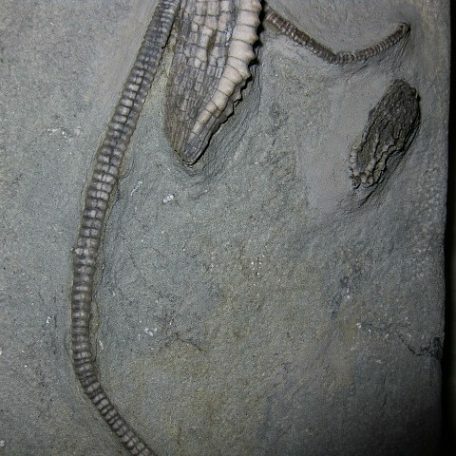 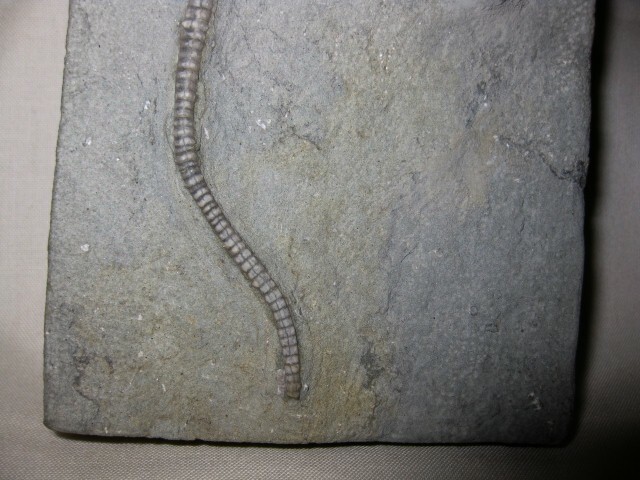 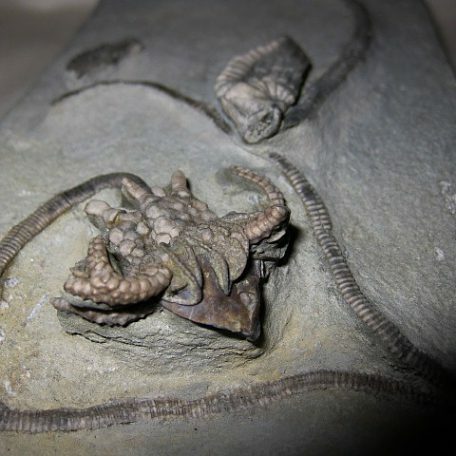 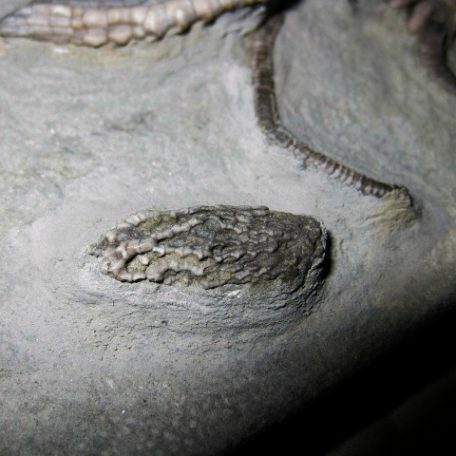 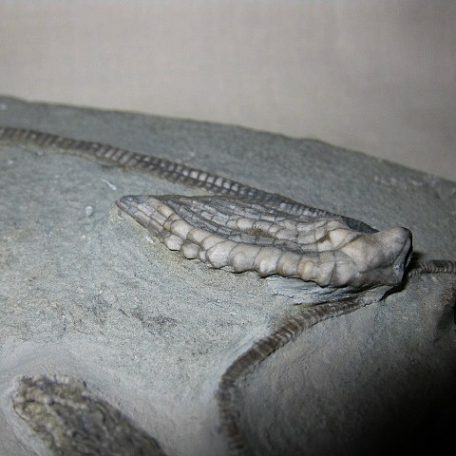 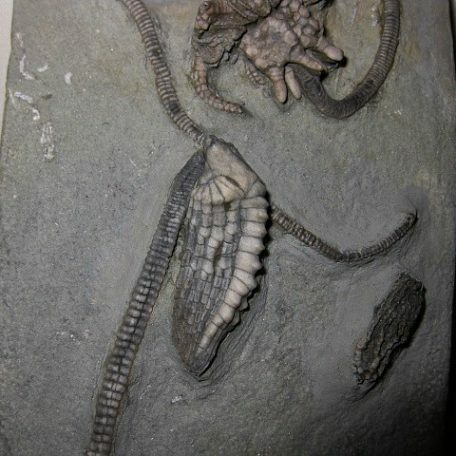 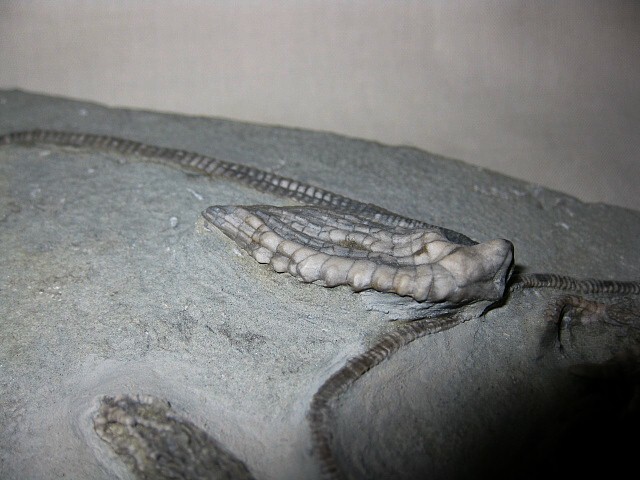 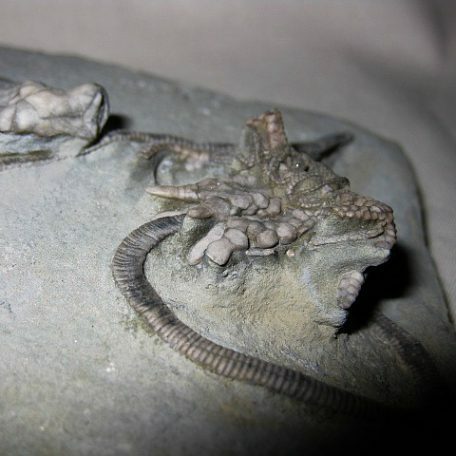 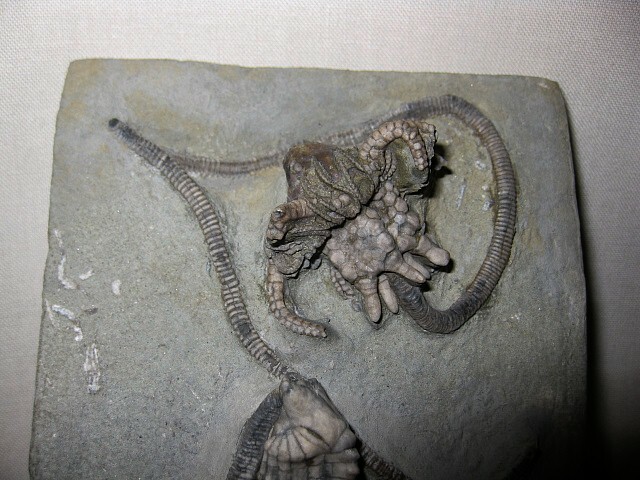 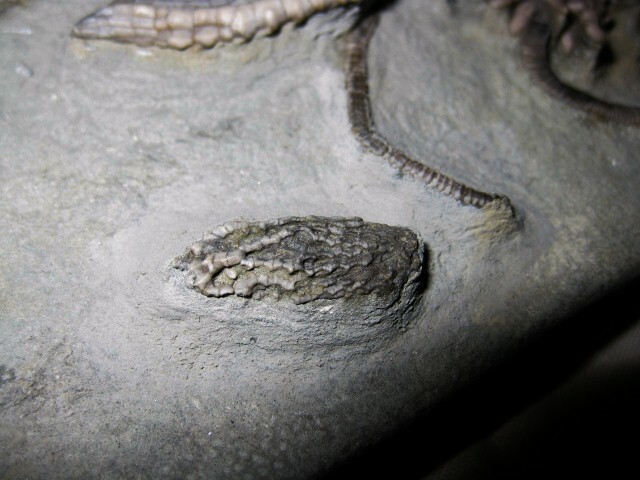 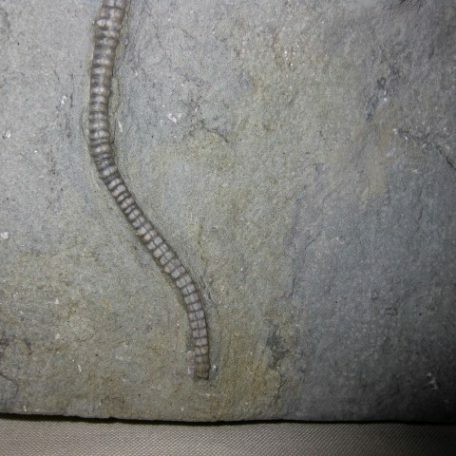 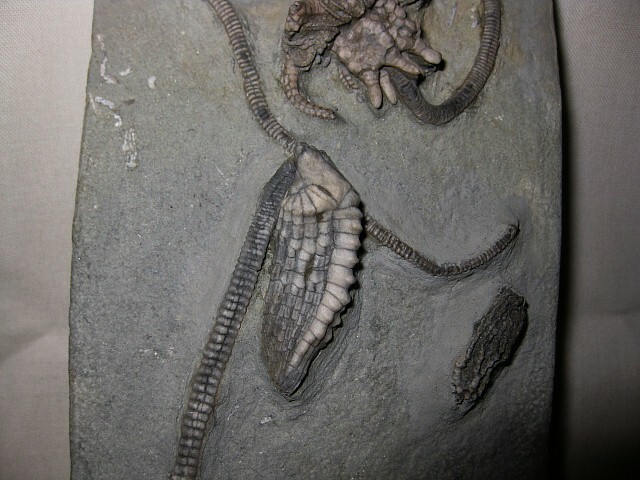 Crawfordsville, Montgomery County, Indiana, is known as one of the most interesting localities for Crinoids, in fact it may be properly called classical Crinoidal ground, having been visited frequently by collectors, geologists and palaeantologists, and having furnished the best material for the study of subcarboniferous crinoids. 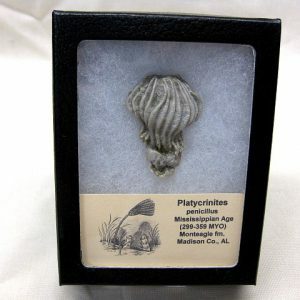 James Hall, Meek, Worthen, Lyon, Cassiday, Owen, Shumard, have described and figured many species in various reports and books, from this locality, and new additions are made continually. 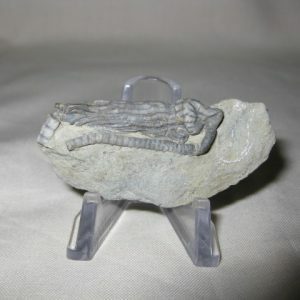 Montgomery County is about 750 feet above the ocean, its surface covered mostly by glacial clays, sand, gravel and bowlders, and only in the valleys, ravines and cuts the underlaying subcarboniferous rocks are exposed, belonging mostly to the Keokuk Group which occupies the central part of the country.